In the utility vehicle segment of Indian auto market, Ford Endeavour and Tata Aria are among the popular vehicles, chosen by many for stylish appearance and spacious setting. While the Endeavour is a pure bred Sports Utility Vehicle (SUV), Tata Aria has created a new crossover segment for itself. 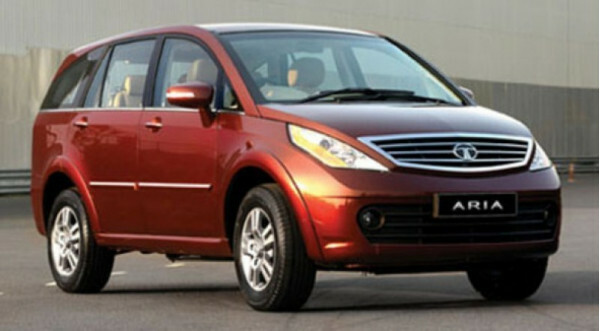 The Tata Aria flaunts the trimmings of both an SUV and a Multi Utility Vehicle (MUV). In terms of exterior styling, the Aria clearly looks like a mix of SUV and MUV. The design is appealing, but the vehicle does not have the same road presence as the Endeavour. The Endeavour is Ford India’s flagship model and looks more menacing on the road with its bigger exterior body, wheels and remarkable ground clearance. Being an out-and-out SUV, the Ford Endeavour is one of the strongest models in its segment. Speaking of interiors, upholstery inside the Aria looks very plush and exudes a feeling of elegance, besides the Legroom and headroom is more than sufficient for occupants. In comparison to this, the space in the Ford Endeavour is not quite as much as the Aria, even though the latter is smaller than the former, in terms of length. There are many different cubby holes that have been provided in the Aria, for the purpose of storage. Upholstery in the Ford SUV does not provide a plush feeling, unlike the Aria. However, one area where the Endeavour scores higher is in terms of material quality and finesse. Though Tata Aria's interiors are much improved over the company's other vehicles, it still has some way to go before catching up with manufacturers such as Ford. While sitting inside the Endeavour, least body roll is experienced while negotiating corners and the SUV is stable at high speeds of over 140 kmph. In contrast, body roll experienced in the Tata Aria is not up to the benchmark set by Ford Endeavour. Rivalry of the heavyweights- Ford Endeavour vs Tata Aria. Coming to under-the-hood specifications, the Tata Aria is powered by a 2.2 litre DICOR diesel power-mill, which produces 140 bhp of maximum power, with 320 Nm of torque. On the other hand, Ford Endeavour gets a 2.5 litre diesel engine, capable of generating 143 bhp at 330 Nm. Evidently, there is not much to choose in terms of power between the two vehicles. Being a vehicle with a larger engine, the Ford Endeavour is more expensive than the Tata Aria crossover. While Endeavour can be purchased at a price of Rs, 18.19 lakh, the Aria is cheaper at Rs. 16.49 lakh. At their respective price points, both vehicles are extremely competitive and the customer's preference for one over the other would primarily depend on vehicle usage patterns.